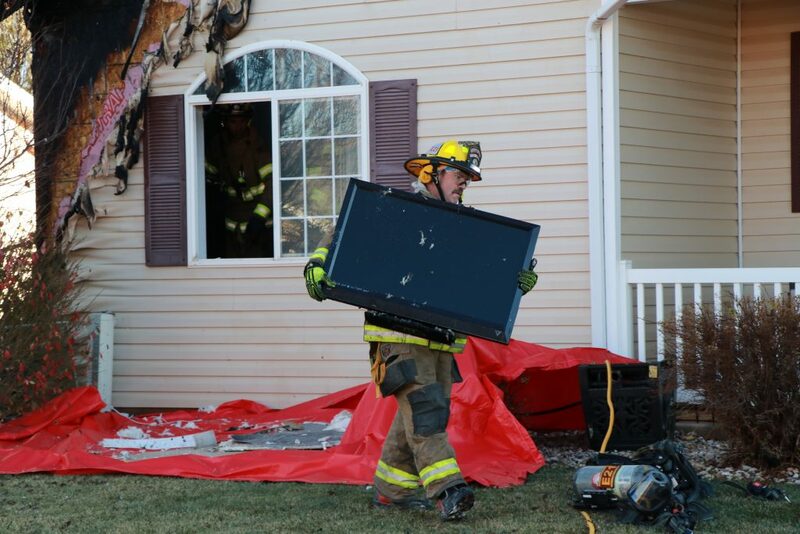 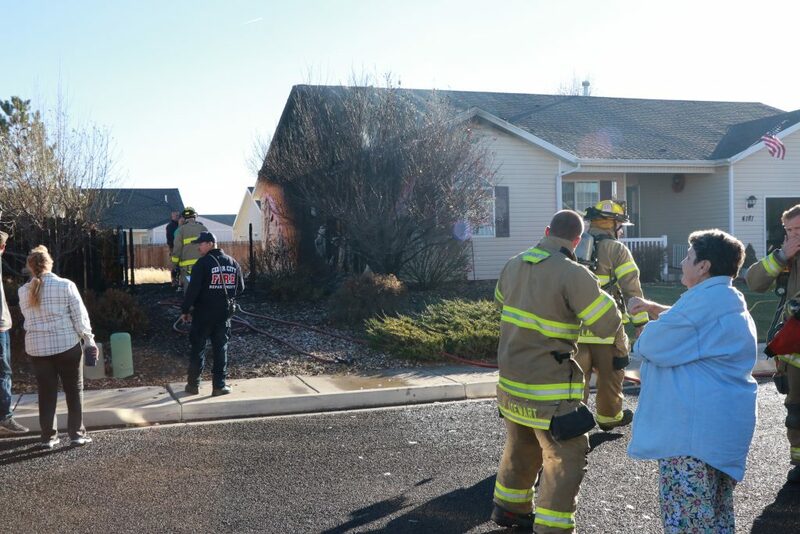 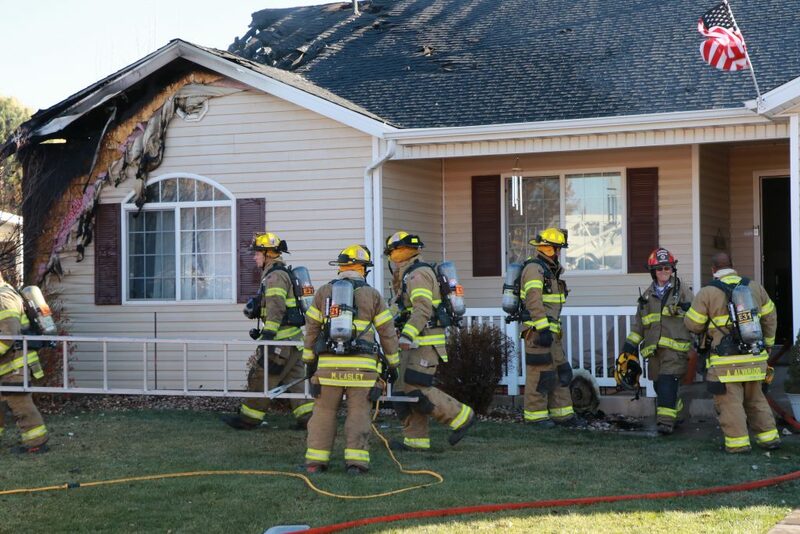 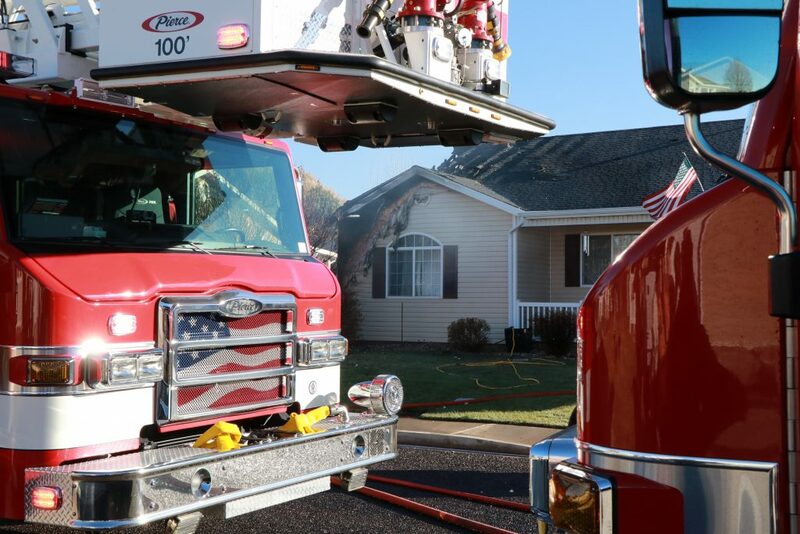 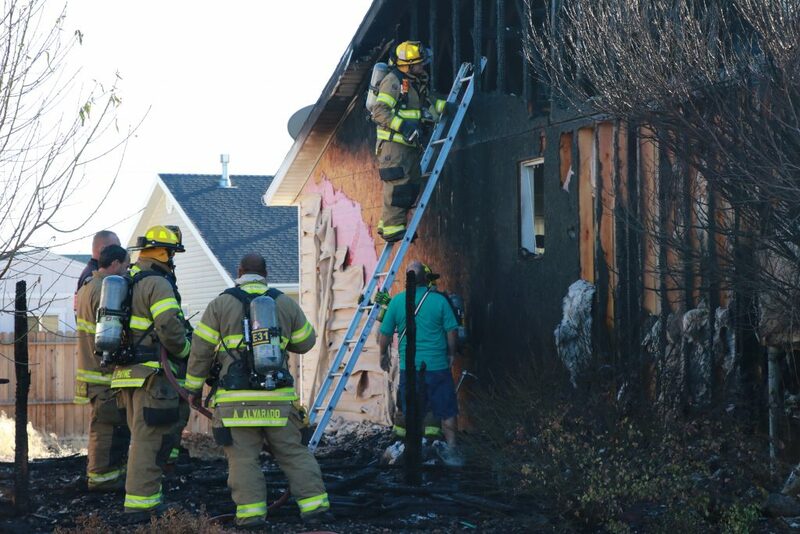 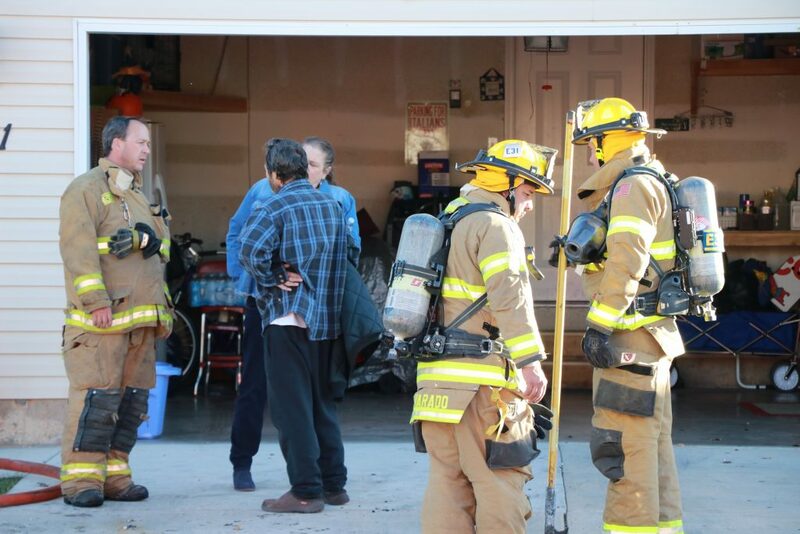 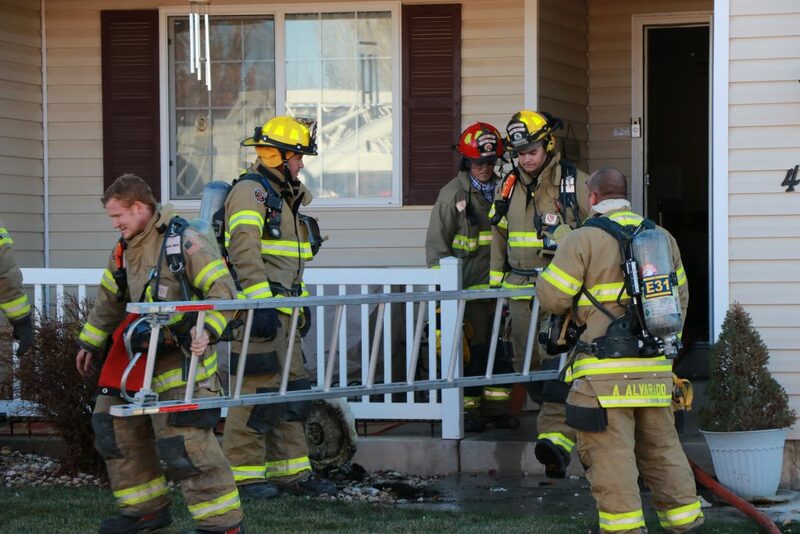 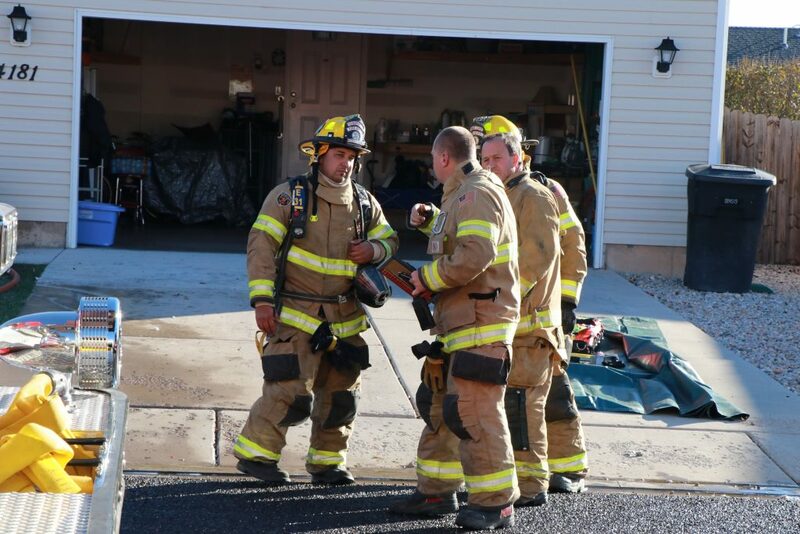 CEDAR CITY — Two women and their dogs escaped injury when their Cedar City home caught fire Saturday afternoon. 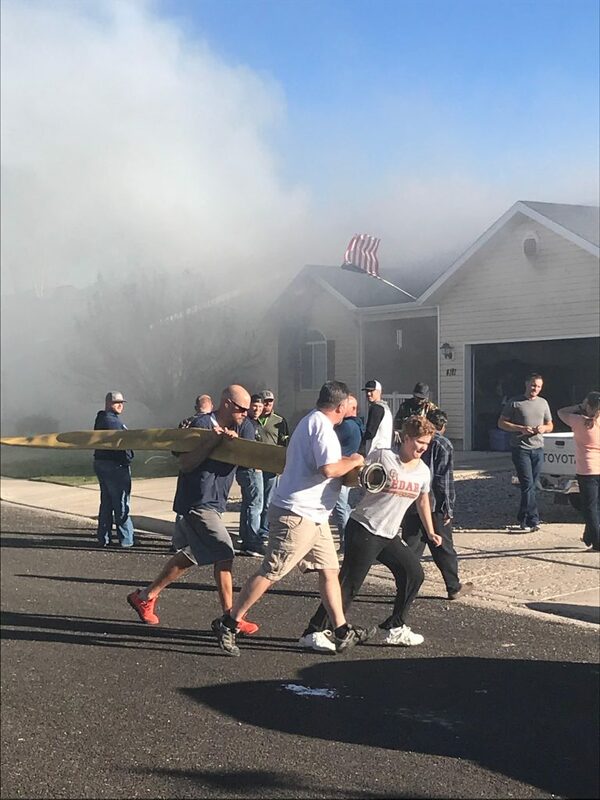 Shortly after 3 p.m., firefighters were called to the scene of the residential fire on 200 North near 4200 West where they found flames and smoke pouring from the roof on the home’s east side. 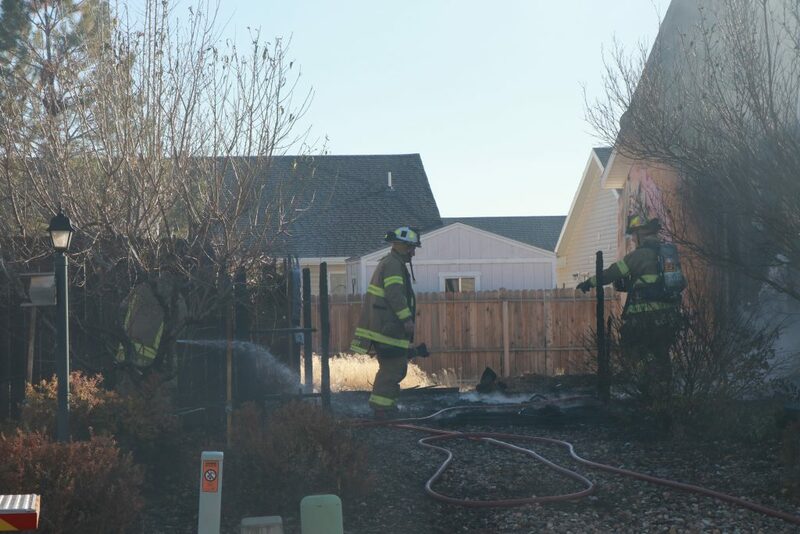 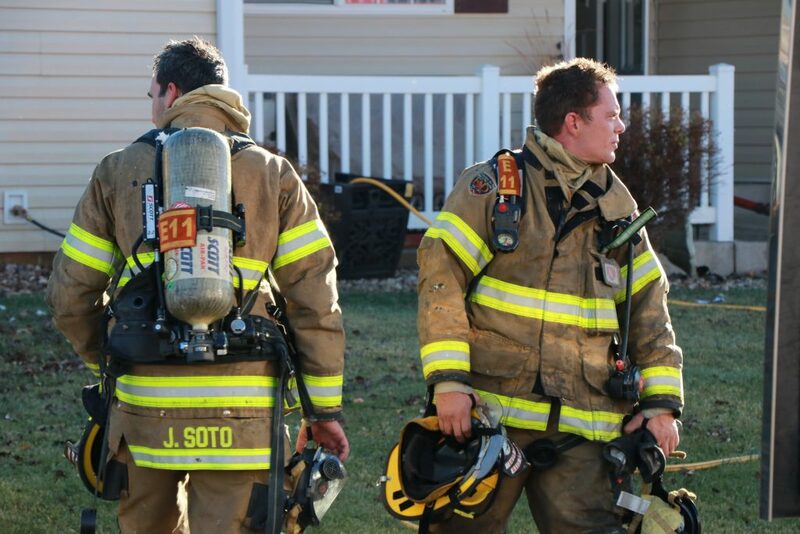 Crews from three fire stations battled the two-alarm blaze, which also melted the siding on a neighboring house to the east and burned a wooden fence separating the two properties. 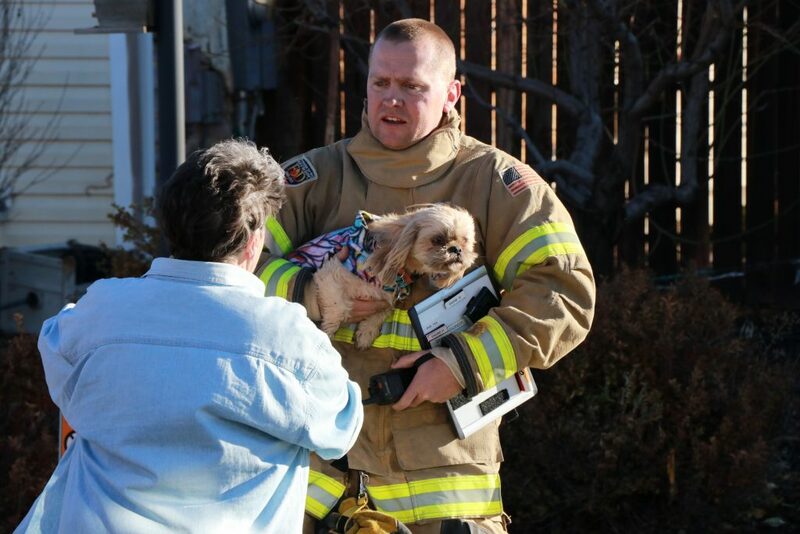 Both adult women who lived at the house were able to exit safely from the building, as were their two dogs. 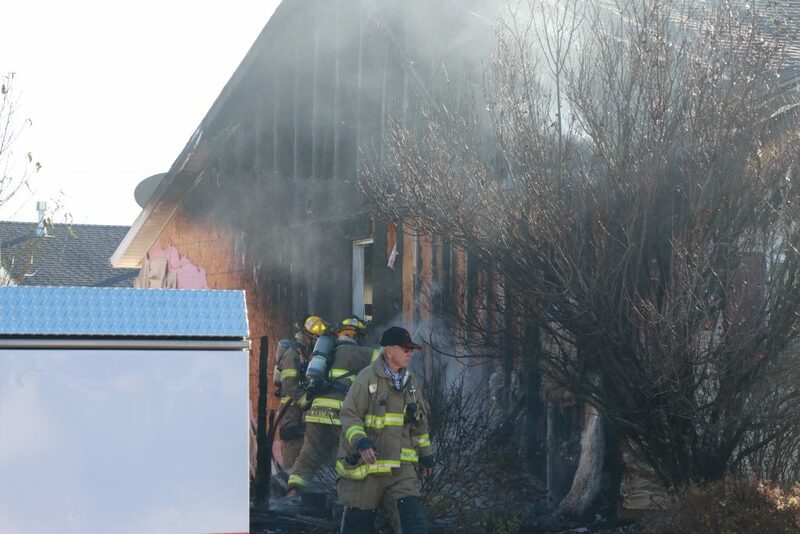 Approximately an hour after the blaze was first reported, crews were still hosing down the structure with water, breaking drywall from walls and checking the areas underneath the roof for hot spots. 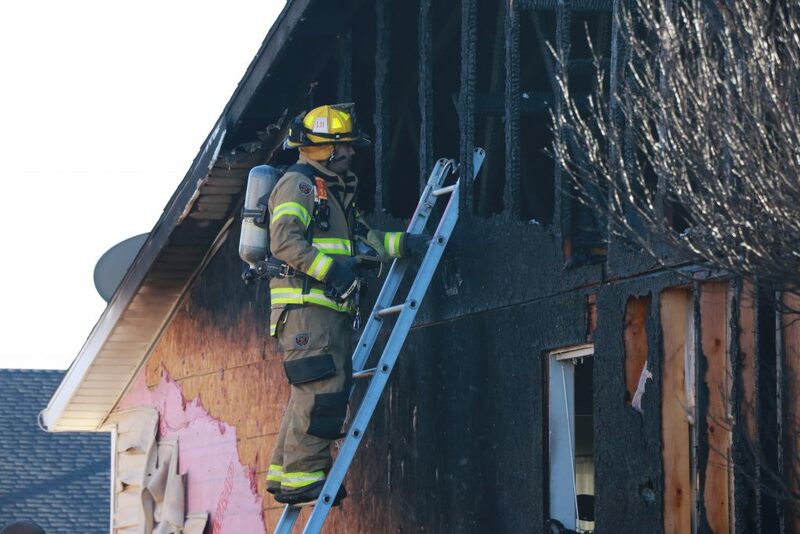 Firefighters were also seen bringing out salvageable belongings from inside the burned building, which appeared to have sustained significant damage. 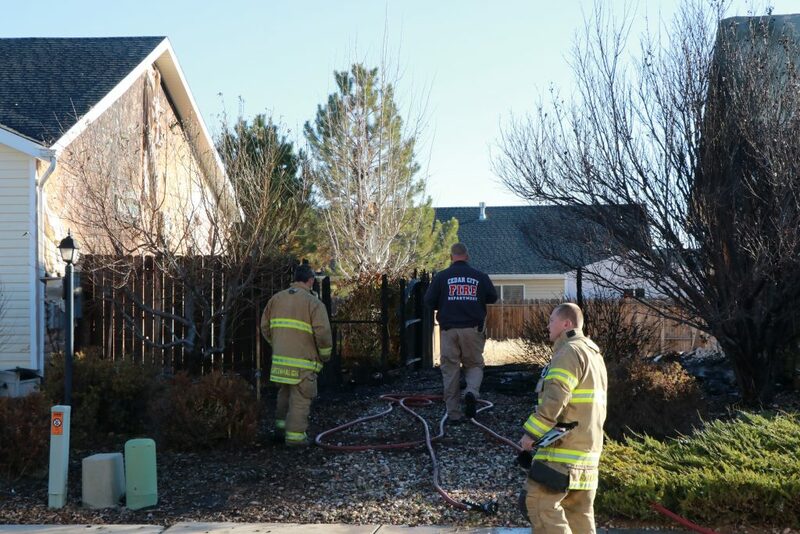 Rocky Mountain Power technicians arrived to turn off the electricity to both homes involved. 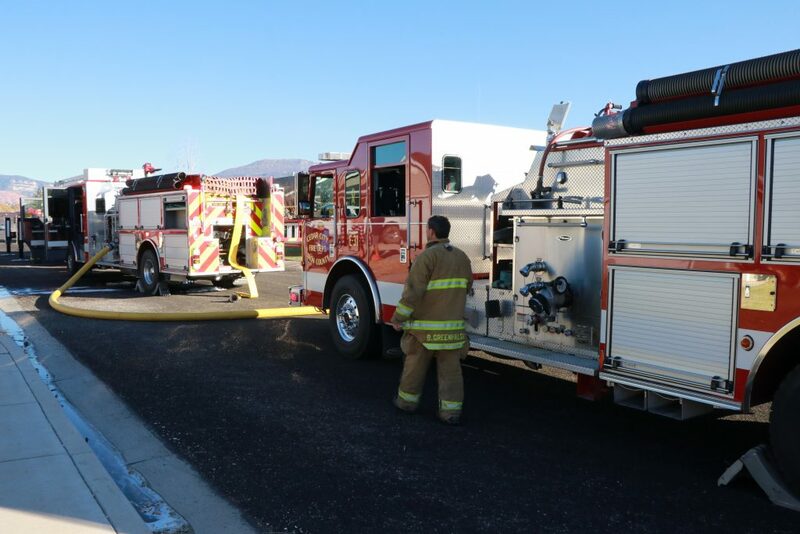 Traffic in the neighborhood was impacted for more than an hour during the incident response. 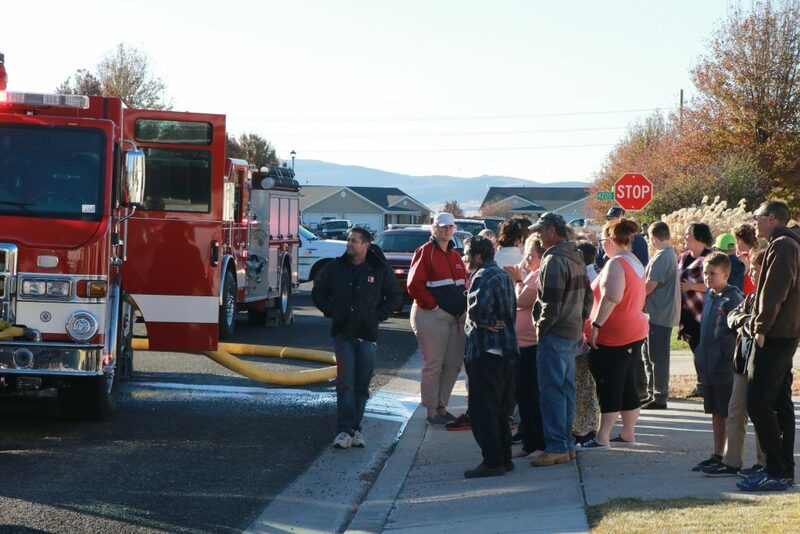 Meanwhile, dozens of neighbors gathered along the sidewalks and watched the firefighters at work. 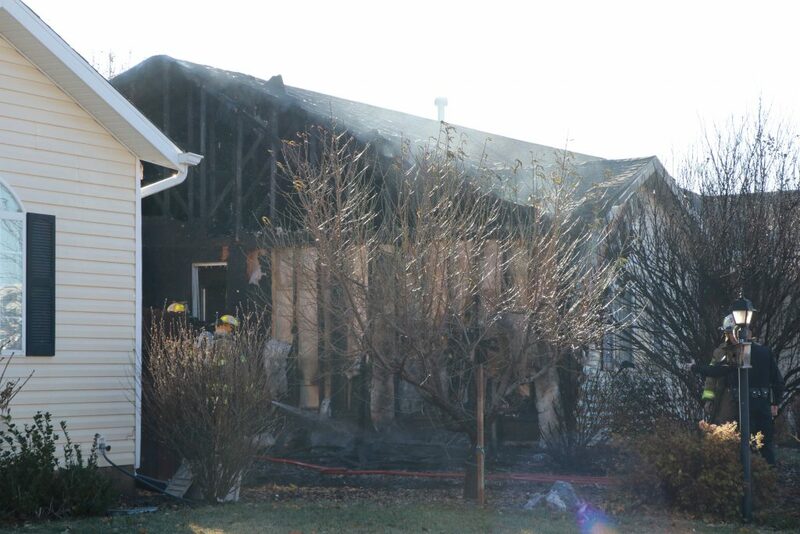 Several bystanders also offered comfort and support to the home’s residents. 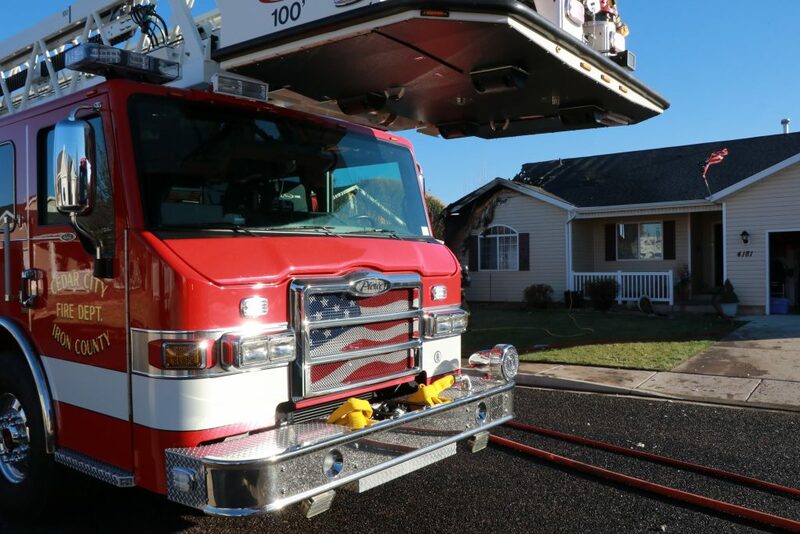 Cedar City Fire Department officials at the scene said the cause of the fire is still under investigation and that no further information is yet available.